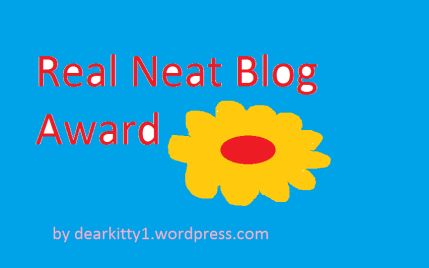 I was lucky to be interviewed by Ari Meghlen on her award-winning blog. I talk about why I enjoy writing and chatting with Jane Austen. 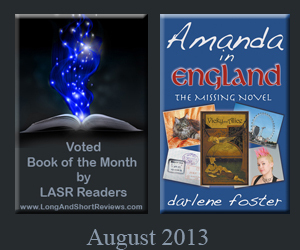 This week’s guest post is an interview with the lovely Darlene Foster, author of Amanda in New Mexico. Enjoy! Sally Cronin is an amazing woman who is a tremendous supporter of other writers and bloggers. So I was so happy to see her here being interviewed by another writer friend of mine, Joy Lennick. Enjoy learning about her very interesting life. A fun chat with Linda on Linda’s Book Bag. Hop on over and say Hi! Many moons ago when I had a career, one of my favourite roles was reading fiction aimed at 11-14 year olds and writing resources based on the books for classroom use for a large UK publisher. When I heard that Darlene Forster writes for a similar age group I just had to invite her to stay in with me and tell me about one of her books. Luckily she agreed to come! Welcome to Linda’s Book Bag, Darlene. Thanks so much for staying in with me. Tell me, which of your books have you brought along to share this evening and why have you chosen it? I´ve been interviewed on Don Massenzio´s blog! Drop by and say Hello. Today I am pleased to introduce an author who I have been following for quite some time. She started writing seriously around the same time I did and was one of the first authors I met through blogging. I have read most of her books and thoroughly enjoyed every one. I consider her a hardworking, talented and diverse author. Here is my interview with Linda Cassidy Lewis. Tell us a bit about you and your books I live in central California, just about midway between Los Angeles and San Francisco and an hour closer to the Sierras than the Pacific Ocean. This year my high school sweetheart and I will celebrate our 50th wedding anniversary—yes, we married very young. We have four grown sons and seven grandchildren. I got a late start on writing seriously, but now I have four novels with a fifth to be released soon. 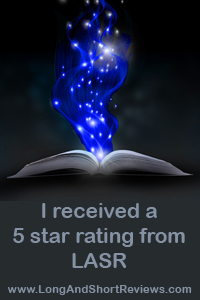 I write women’s fiction, humorous romance, and, occasionally, darker fiction. What made you decide to be a writer? Reading. I’ve been an avid reader all my life. And I never really outgrew the “make believe” stage. To entertain myself while doing mundane tasks like housework—that is, when I couldn’t have a book in my hand—I would make up my own stories, sometimes carrying on the same characters for years. Often I would write these as short stories, or even start a novel, but I never shared them with anyone. 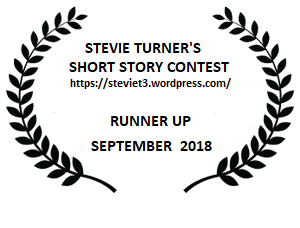 A few years ago, I decided it was time to write and finish a novel, aiming at publication. So I did. Where do you get your ideas? Occasionally, the ideas are sparked by real life events, sometimes by a dream, but more often I just “hear” a character talking, telling me their story. Usually, I get a mental picture along with the dialogue, like a movie playing in my head. So I start jotting down bits of dialogue and description. Sometimes that’s all I get, and I file it away to consider in the future, but other times, the story keeps flowing and results in a completed work. Are your characters based on real people? I usually visualize a particular actor as a character, but since I don’t actually know that person, I have to invent my character’s personality. Those personalities are a mixture of traits from people I know or have known. And, consciously or subconsciously, there’s a bit of me in them all. You have written in a variety of genres. Is it difficult to switch from one to another? Not so much. Before I write a new book in one of my series, I have to reread at least parts of the previous book to “get back into character” so to speak. Writing the humorous romance is hardest for me because I tend to darker thoughts, which I suppose is why I should write humorous romance. Of your published books, which is your favourite and why? Well, I’ll always have a soft spot for The Brevity of Roses because it was my first novel published. But I can’t write what I don’t love—or I can’t complete a story I’m not in love with, at least. So I’d have to say that each of my books is a fave for some reason. What are you reading right now? Sophie Kinsella’s My Not So Perfect Life. What can we expect from the pen of Linda Cassidy Lewis next? Well, I’ve written two romances back to back, which are “dessert” books for me, and right now, I’m craving some meat and potatoes, so next I’ll be working on another women’s fiction novel in The Bay of Dreams Series. However, I’m going to try writing the next in the High Tea & Flip-Flops Series at the same time. Are you a panster or a plotter? I used to say pantser because I don’t write an outline, but then I realized that by working out a book mentally for months, or even years, before I sit down to write it, I’m plotting in a different way. Now, I call myself a plotser. What advice would you give anyone who wants to write a book? If you have a story calling to you, write it! And give it all you’ve got. Whether you fear it won’t be good enough for publication shouldn’t stop you. A book, or short story or poem, can always be edited and revised, but not until you have a draft to work with. Do you prefer cats or dogs? I like both, but at the moment, I have only a dog, a white, part Schnauzer, called Maggie. Coffee or tea? Tea! I can’t stand even the smell of coffee. Sweet or savoury? I’m a savory person all the way. I’m always up for pizza. Thank you so much, Linda, for answering my questions. I love the word plotster and may use it! 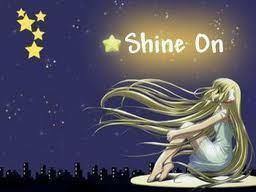 I wish you continued success with your writing endeavours and look forward to reading more of your amazing novels. Connect with Linda on her social media sites. It’s Thanksgiving in Canada and I have so much to be thankful for. My family, my friends, my health and a wonderful place to live, to name a few. I am also extremely thankful to everyone who has supported my writing endeavours. It has been ten days since Amanda on the Danube has been released and things have been going great! I was pleased to see an article about the book in The Delta Optimist. 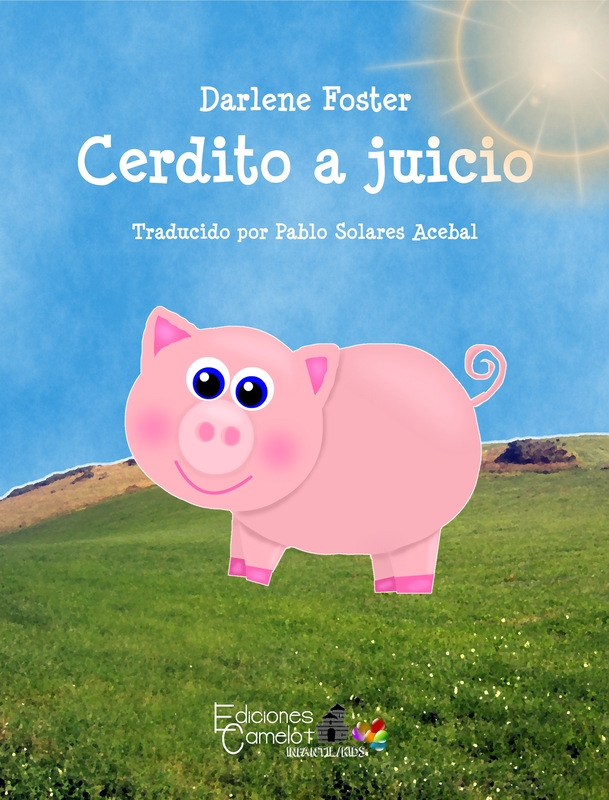 Children’s author Darlene Foster has added another entry to her travel adventure series. 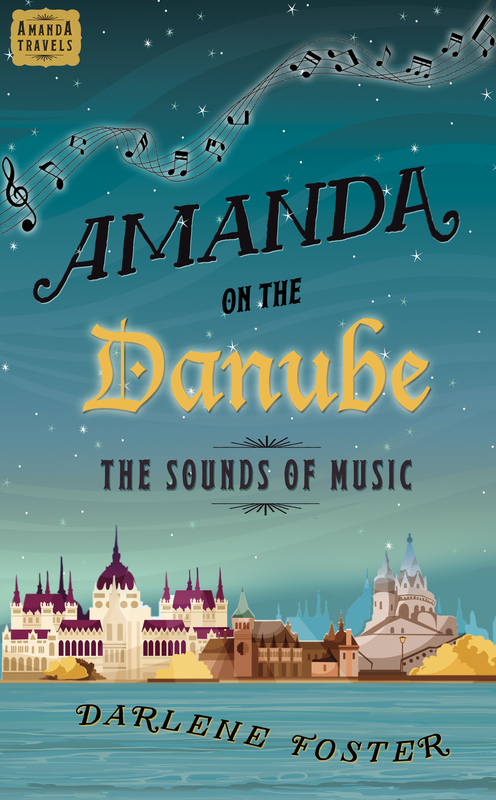 Amanda on the Danube: The Sounds of Music follows the 12-year-old main character on an adventure with her best friend Leah aboard an elegant riverboat along Europe’s second-longest river. “It is a fast-paced, fun and intriguing story with some European history tucked in,” says Foster, who has a book launch event scheduled for next month at Albany Books in Tsawwassen. The title marks the fifth entry into this series and Foster says she thinks it’s the best one yet. Today my chosen book is another adventure for Amanda, an ordinary Canadian teenager, who has travelled the world from Arabia to Alberta via Spain and England. 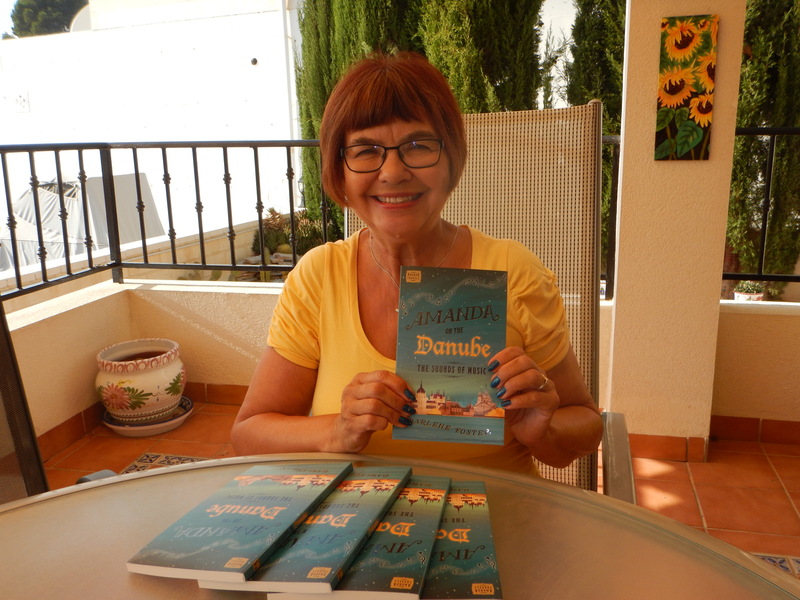 Author Darlene Foster now crafts a new adventure as Amanda finds herself on the Danube helping a homeless young musician. 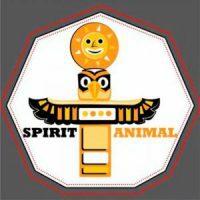 Read more here and add a comment if you wish. Sally’s blog site is chock full of interesting and inspiring information. She is an amazing person and does so much to promote us struggling authors. You may want to follow her blog, you won’t be sorry. I am so thankful I met Sally through the wonderful world of blogging.